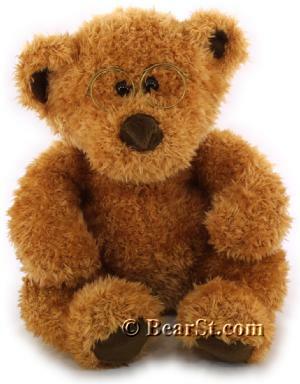 Specs is a fabulous, cuddly bear who has golden curry textured plush complemented with chocolate brown paw pads, earlinings, and a sculpted plush nose. His closely set eyes that are accented with perky wire rim glasses. Specs, the perfect bear for the strong, silent type!